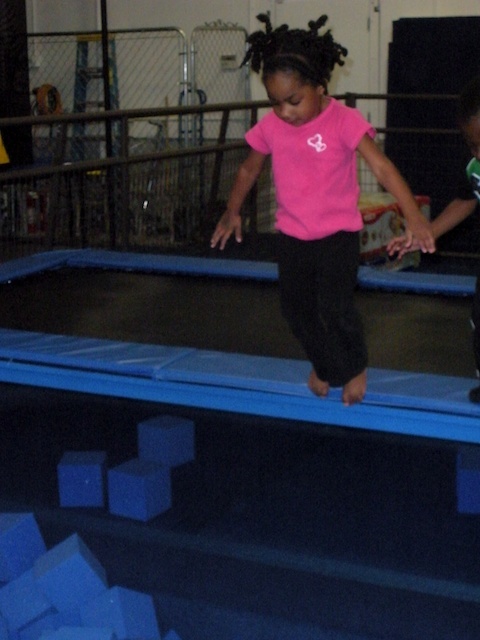 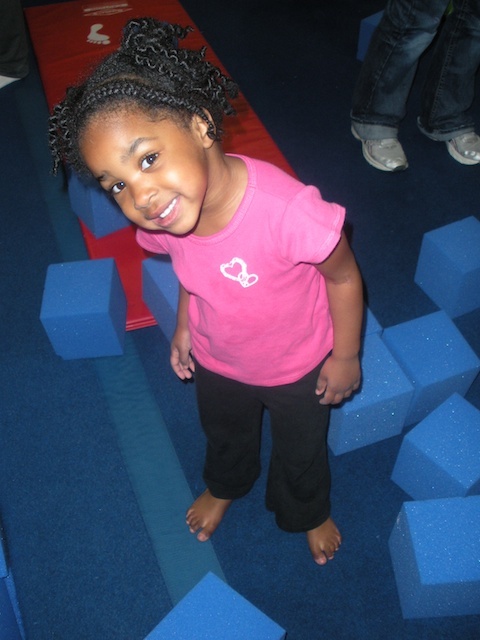 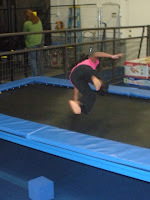 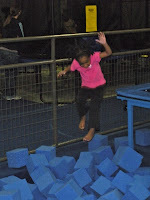 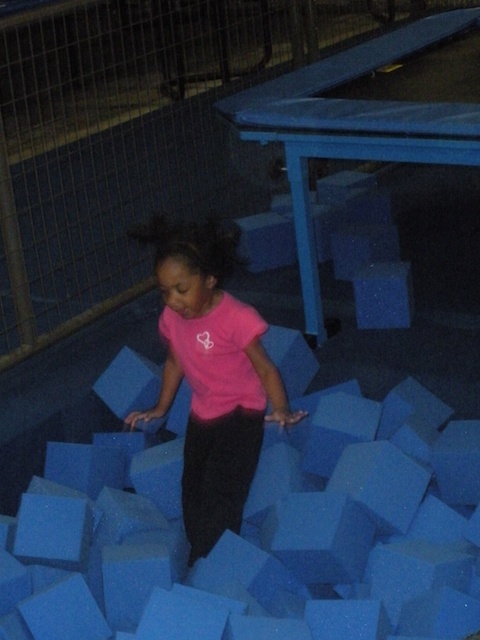 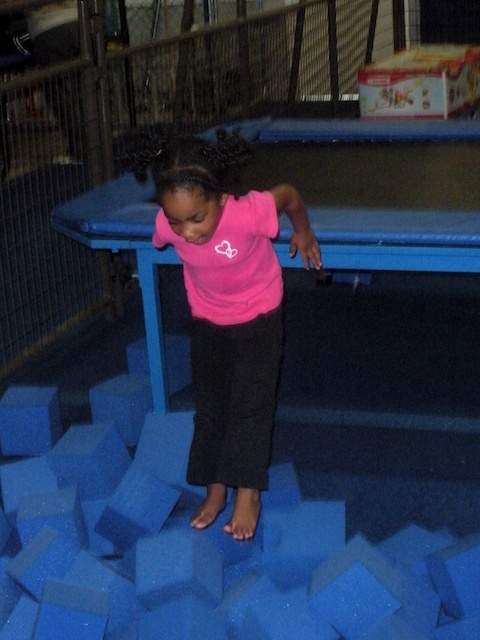 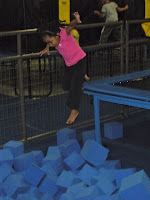 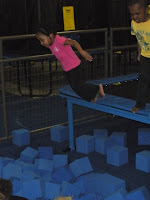 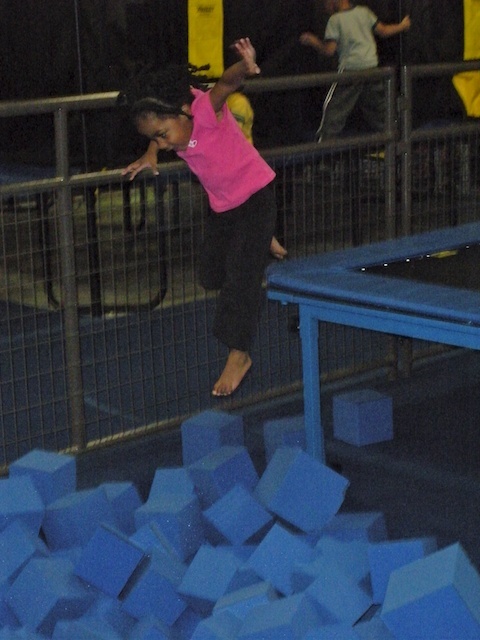 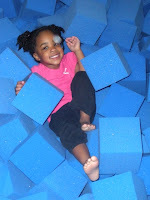 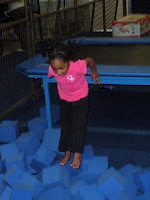 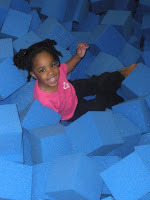 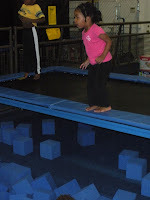 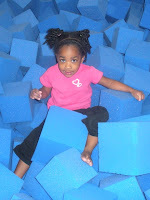 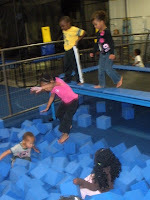 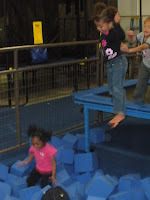 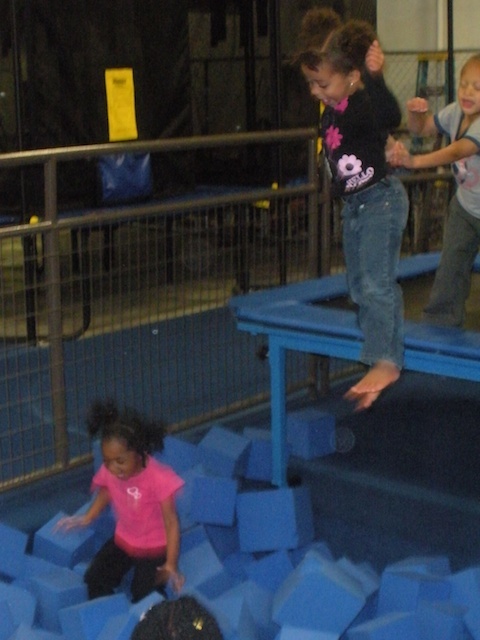 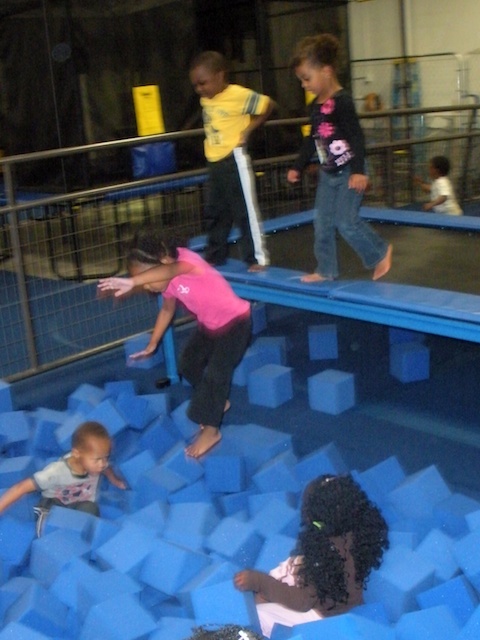 A couple of weeks ago, we went to the Extreme Air Sports place for playgroup. 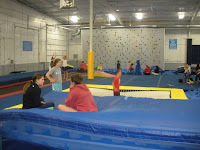 It was a really fun place. 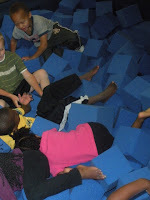 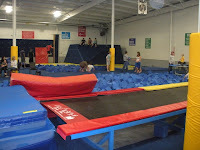 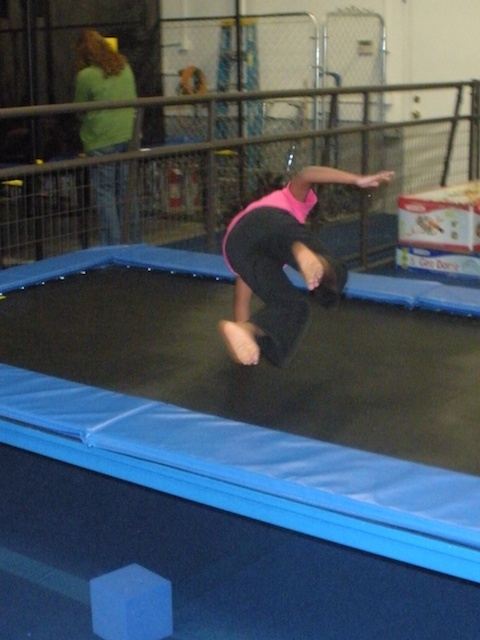 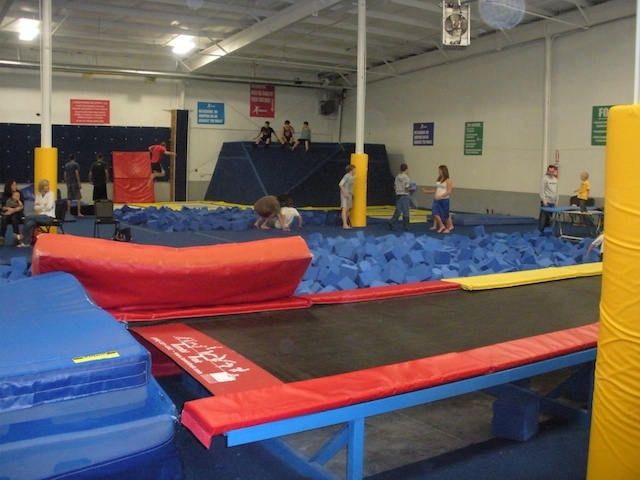 They have a bunch of trampolines and foam pits. 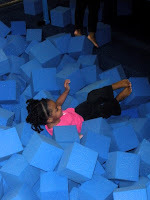 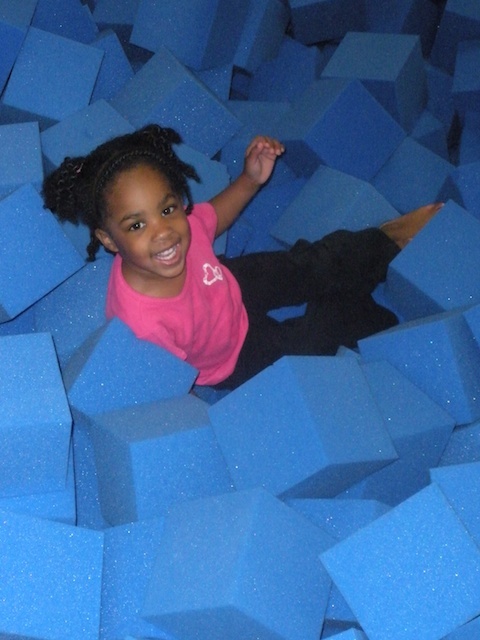 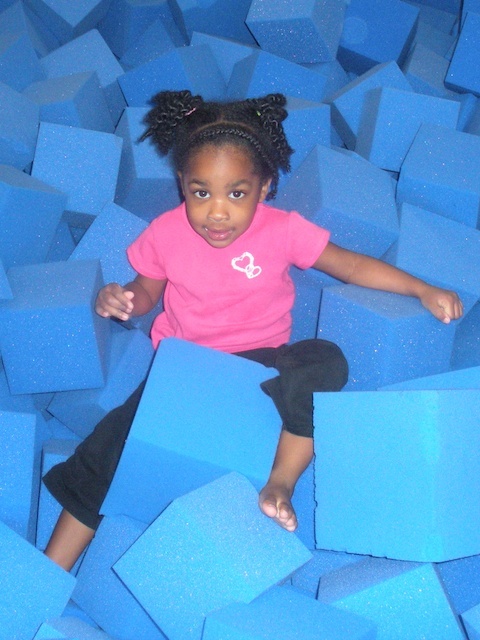 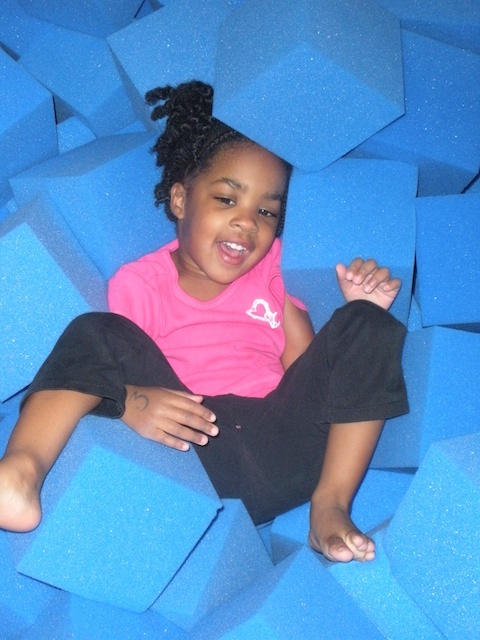 They have a kid's area for the under 6 crowd that just has a trampoline that you can jump off of into a foam pit. Zoe spent the whole hour and half climbing onto the trampoline, jumping into the foam, climbing out of the foam, and climbing back onto the trampoline. 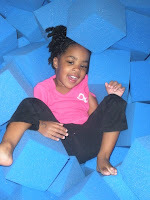 She was in heaven.